Oakham Ales has scored a hat-trick, winning ‘Beer of the Festival’ for the third consecutive year, at the recent CAMRA (Campaign for Real Ale) St Albans Beer Festival in Hertfordshire. The Peterborough-based brewers multi-award-winning Green Devil IPA (6% A.B.V.) won the title. Oakham’s ‘Dreamcatcher’ ale won this prestigious accolade in 2011 and 2012 and the Brewery’s Attila was named champion in 2009. Oakham’s Green Devil IPA is no stranger to success, it has won a number of high profile awards during 2013 including, Champion Cask Ale at ‘The International Brewing Awards’ as well as winning Supreme Champion at a national beer award competition organised by SIBA (Society of Independent Brewers). 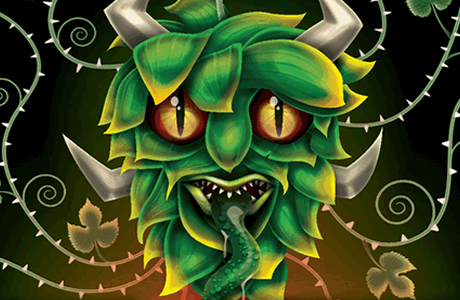 Green Devil IPA has an amazing hop harvest aroma with tropical fruit bursting through. Smooth and fruity starting with passion fruit, pineapple and mango developing into lemon, limes and a citrusy bitterness. It finishes with a crisp, refreshing dry after taste.